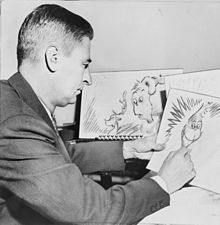 Theodor Seuss Geisel (2 March 1904 – 24 September 1991), more famous by his pen name, Dr. Seuss, was an American writer and cartoonist most famous for his children's books. "Maybe Christmas...", he thought, "...Doesn't come from a store." Grew 3 sizes that day. We too should have rights. Which you seem to be chopping as fast as you please! Whatever that meant . . . well, I just couldn't guess. The last sentence of this statement is often misquoted as "You oughta be thankful, a whole heaping lot, / For the people and places you're lucky you're not!'" To escape from the perilous pants-eating plants! Thank goodness for all the things you are not! That's why I say, "Duckie! so muchly much-much more unlucky than you!" When things start to happen, don't worry, don't stew. You're off to great places. Today is your day! Your mountain is waiting. So... get on your way. 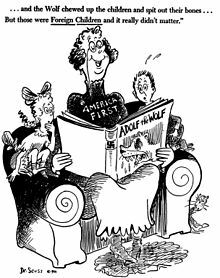 Often attributed to Dr. Seuss without citation; also cited as an anonymous proverb. This quote has also been attributed to Gabriel García Márquez, in Spanish: "No llores porque ya se terminó, sonríe porque sucedió." Robert Fulghum in True Love (1998). 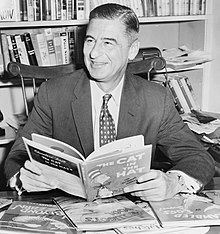 Versions attributed to Dr. Seuss usually run "mutual weirdness". Georges Duhamel in THE HEART'S DOMAIN (1919). As it was composed in French, the wording in English may vary in translation. 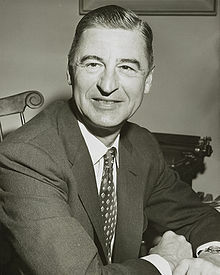 Theodore Geisel / Dr. Seuss was born in 1904, and would have been about 15 years old at the time that it was published. The full text can be found at the link below: We do not know the true value of our moments until they have undergone the test of memory. Like the images the photographer plunges into a golden bath, our sentiments take on color; and only then, after that recoil and that trans-figuration, do we understand their real meaning and enjoy them in all their tranquil splendor. Full text of the Heart's Domain by Georges Duhamel.